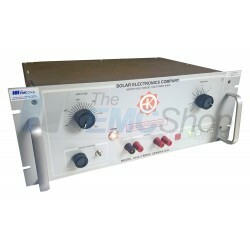 The EMC Shop stocks RTCA DO-160 Section 17 Test Equipment to simulator voltage spikes from ancillary equipment. The EMC Shop specializes in military and aerospace compliance testing, contact us now for more information. RTCA DO-160 Section 17 There is 1 product.